New York Giants defensive end Jason Pierre-Paul injured his hand in a fireworks accident in Florida on Saturday. It is reportedly not serious. New York Giants defensive end Jason Pierre-Paul injured his hand in a fireworks accident in Florida on Saturday, according to multiple reports. Pierre-Paul remained hospitalized on Monday, reports NJ Advance Media. A team spokesperson told the outlet that the Giants' concern right now is Pierre-Paul’s well being. ESPN’s Adam Schefter reported Pierre-Paul sustained injuries to both hands, “one significant, the other not as significant.” Later Monday, Schefter reported there was “concern” among the Giants that Pierre-Paul could miss training camp and possibility the start of the regular season, although the team is still awaiting more medical information and initial indications were that the hand injury is not career-threatening. Pierre-Paul, 26, is a Deerfield Beach, Fla., native and played college football at South Florida. 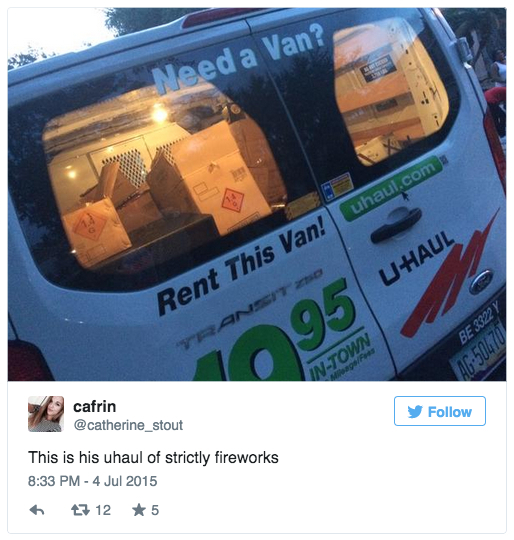 An image claiming to show Pierre-Paul’s UHaul van filled with fireworks before the reported accident was tweeted on Saturday, along with other tweets claiming to have seen Pierre-Paul lighting fireworks. 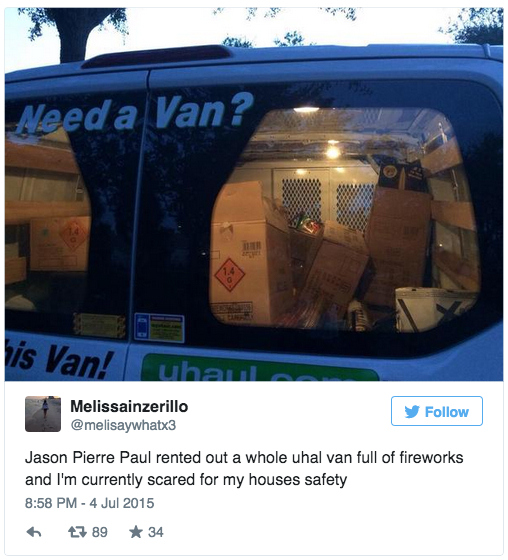 Pierre-Paul also shared a video on Instagram of himself in front of the van before the reported accident. No comments have been issued by the Giants or Pierre-Paul’s representatives. Bleacher Report’s Jason Cole and Fox Sports’ Mike Garafolo tweeted confirmations that Pierre-Paul sustained a hand injury in a fireworks accident Saturday night, but were initially unable to confirm the severity. A two-time Pro Bowl selection, Pierre-Paul returned from an injury-shortened 2013 season to play all 16 games in 2014, recording 77 tackles, 12.5 sacks and three forced fumbles. Over five seasons, Pierre-Paul has recorded 286 tackles, 42 sacks and eight forced fumbles.